This new series had me at Deep Fried! I had been looking forward to reading since I had first heard about it. It was worth the wait. In this first book in the Deep Fried Mystery series, author Linda Reilly has created a delightful cast of characters, as well as an enchanting setting. I knew even before finishing the first chapter of FILLET OF MURDER I was going to love this book . . . and I did! I immensely enjoyed the relationship between lead character Talia Marby and her friend, and owner of Lambert’s Fish & Chips, Bea Lambert. They really played well off each other and have a wonderful mother/daughter vibe. As for the fish & chips restaurant, I have no doubt that would be my hangout. I could smell the incredible scents of fried food while reading, and more than once heard my stomach growling. 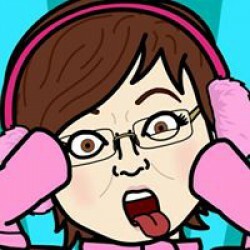 Speaking of growling tums, Ms. Reilly has included a couple of tasty recipes to use as side dishes for your next fish & chips (or any other) dinner! This mystery had a wonderful plot and was extremely well written. There were enough red herrings (or in this case, haddock) to keep my guessing until the surprising reveal. I did not see it coming. Well done Ms. Reilly! 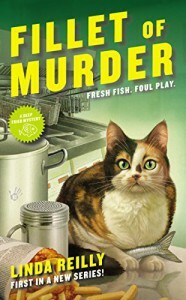 FILLET OF MURDER is one of the most delicious introductions to a new series (first books) I have read so far this year and has secured a spot in my top five favorites! 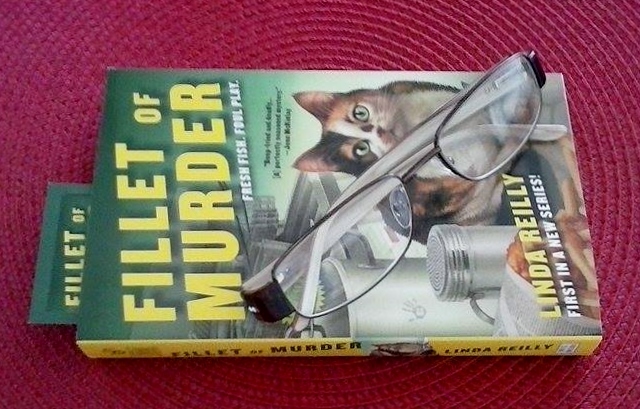 If you’re looking for a new cozy series to whet your appetite for mystery, FILLET OF MURDER is the perfect choice!